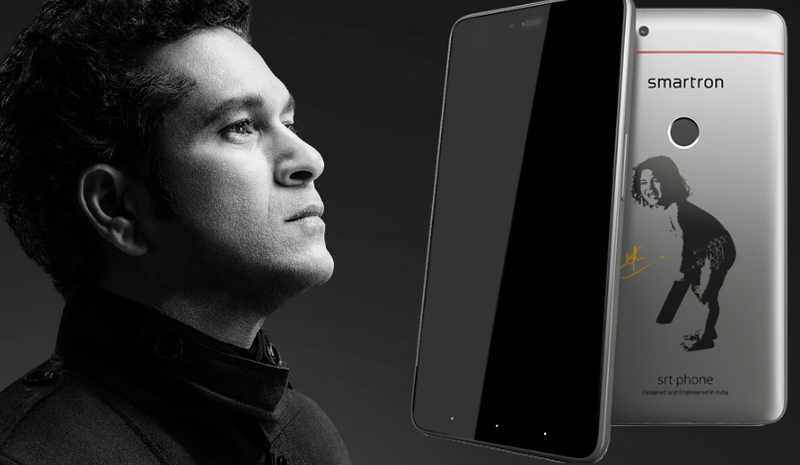 Cricketing nation legend and India's most prolific batsmen, Sachin Tendulkar who is backing an Indian startup company, Smartron has announced a new smartphone. Dubbed as the Smartron srt.phone, the device is priced Rs. 12,999 for the 32GB storage option and Rs. 13,999 for the 64GB storage variant. Unlike the company's first smartphone, this device is priced on a right note and the specifications thoroughly justify the asking price. The phone has a 5.5-inch Full HD display with Corning Gorilla Glass 3 protection and 401 PPI. The phone is powered by the Qualcomm Snapdragon 652 chip along with 4GB of RAM and 64GB internal storage. The storage can also be expandable up to 128GB via a microSD card. It has a 13MP primary camera along with the 5MP wide-angle front-facing screen. Smartron also promises three major Android updates to the phone, and it currently runs on Android 7.0 Nougat with little customizations here and there. The phone has a 3000mAh battery that can last up to a single day with full charge.